Inspector Nayland Smith has unearthed a plot that could mean the end of civilization as we know it. He's just arrived in London, chasing the greatest criminal mind ever to come from the East. But when he arrives to warn Sir Crichton Davies that he is in danger, he finds he is too late. Sir Crichton has become the first victim of the insidious Dr. Fu-Manchu. From Anonymous of Locust Grove, Virginia on 3/8/2018 . The narration by BJ is great as always. Maybe I wasn”t paying as close attention as I usually do but it seemed the author would jump from one “vignette” to another without transitioning. Several times I asked myself, what’s he talking about before determining an unspecified amount of time had elasped and new characters were being introduced. In total, I enjoyed it despite the choppy feeling. Unfortunately I won’t be listening to rhe sequel. From FRANK ROGERS of laredo, Texas on 8/25/2014 . From Tammy Hammat of Middle Park, Australia on 10/31/2012 . From Anonymous of Richmond, Virginia on 9/29/2012 . From Anonymous of Dayton, Ohio on 9/2/2012 . 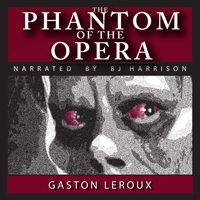 BJ continues to provide high quality audiobooks at a reasonable price. His vocal flexibility brings interst to his readings without distracting from the text. Keep up the great work! From Philip of New Haven, Connecticut on 8/27/2012 . 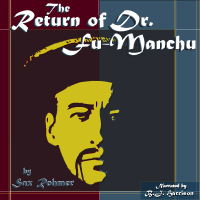 I read the Sax Rohmer novels fifty years or so ago. I saw then (as I see now) the racist elements in the attitudes towards Asians, Chinese in particular, but still, the tale was continuously gripping and certainly got me through some otherwise boring weed-pulling. Just as intelligent readers can get passed the use of the N word in Mark Twain, they should be able to see the "Yellow peril" in an historical context. And if they can just relax, they will enjoy a well read great adventure yarn. More Sax Rohmer, please. From Anonymous of Oakland, California on 8/13/2012 . The text is unsettlingly racist, but if you can shiver your way through that, the story is excellent and the narration is as wonderful as ever. From Cindy of Knob Noster, Missouri on 8/11/2012 . As usual, very well performed! 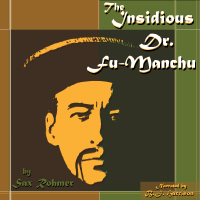 An intriguing work I have always wondered about, having heard the name Fu Manchu but not having read the book. BJ never fails!!! From Anonymous of Kokomo, Indiana on 8/11/2012 . I very much enjoyed this book. 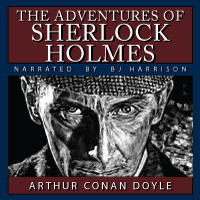 No only is the story line a classic but I also enjoyed listening to B.J. Harrison. He, himself, is classic. After all, when it comes to podcasting, the reader is just as important as the story. Don't pass this one up.